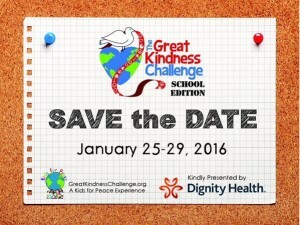 The Great Kindness Challenge Is Two Weeks Away! As a children’s author, the primary goal of my work is to celebrate neurodiversity by empowering kids to use their superpowers for the greater good. One of the most exciting ways I have been able to do that is through my work with the Kids for Peace Great Kindness Challenge. 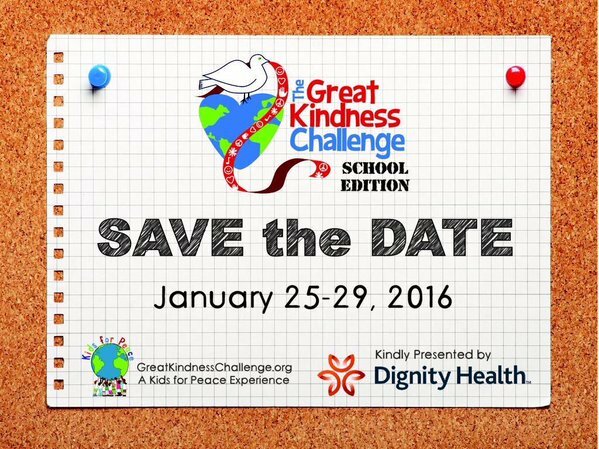 The Great Kindness Challenge is a HUGE kindness initiative (over 4 million students!) that inspires kids to do as many kind acts as possible during the last week in January. It is amazing to see the effects of this program on school climate. Teachers report that the very cultures of their schools undergo profound, lasting shifts toward benevolence. The environments become much safer for our kids, where everyone is allowed to shine in their own way. As an adult on the autism spectrum, last year I was so moved by how powerful and brave some children on the spectrum were during the challenge, that I felt moved to celebrate them by featuring them in an article. They took some of those tired, untrue stereotypes regarding autistic empathy and turned them upside down by letting their beautiful empathy propel them into action. I absolutely loved seeing this opportunity for kids to be safe enough to let their altruism shine. In many cities, they were supported not only by their schools, but by their police forces, firefighters, mayors, and in some cases, state senators. It’s a powerful, powerful movement. It’s entirely free, very easy to implement, and is absolutely the direction in which I love to see our culture shift. I am so proud to sponsor it. If you are interested in participating in The Great Kindness Challenge at your school or in the community, do check it out! This entry was posted in Uncategorized and tagged autism, great kindness challenge, Kids for Peace, Kindness, neurodiversity, peace on January 11, 2016 by admin.